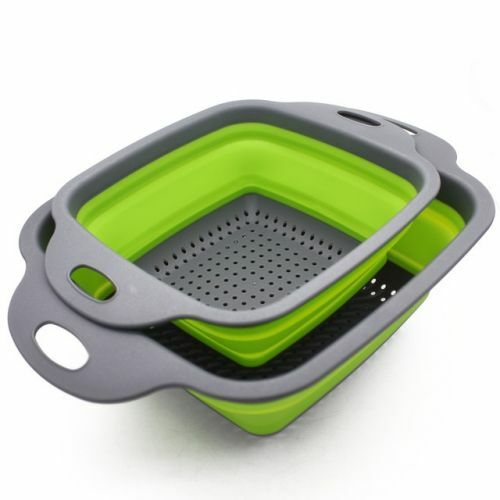 Not only do these strainers come in a super modern design, but they collapse meaning their storage height reduces to less that 2 inches high! Price includes 2 items per set - choose your shape and color above! A MUST HAVE KITCHEN ITEM - CLICK ADD TO CART TODAY! Size: Round Option: 8" & 9.5" Square Option: 6.5" & 8"
Collapsed Height: Less than 2"